NatyaHasta School of Classical Dance and Music – Celebration of classical dance and music in the 21st century! To spark passion, inspiration, and creativity by providing opportunities to engage with great artists from around the world. Our school aims to invoke a more global perspective in study of music and rhythm. Multiple points of entry for the community to connect with our work. One way we do this is through our workshops. By leveraging the resources we have, we engage our student-artists with the community. This provides an immersive experience for children and their families to participate in art making while giving the student-artists a chance to stretch their skills and make a difference in our community. We are deeply gratified that the community responds to this integration of new and innovative ideas into the existing work of dance, costume designing, make-up, and elements that form our art. 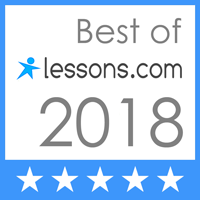 NatyaHasta is now offering lessons via lessons.com. Click below to explore your remote learning potential with NatyaHasta!